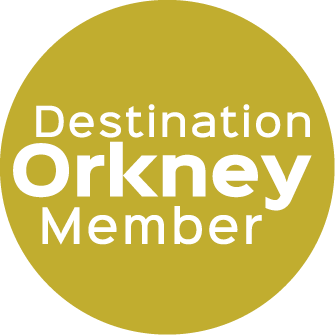 A recent visitor described the Orkney Fossil & Heritage Centre as a "hidden gem". Housed in converted farm buildings on the island of Burray, the Centre has an intriguing collection of fossils from Orkney and around the world, including some rare and beautifully preserved specimens. There are also local heritage displays, including a fascinating exhibition about the construction of the Churchill Barriers. The collections were donated to the people of Orkney by local builder Leslie Firth who, with his father Ernest, developed an interest after finding fossils at their quarry in Sandwick, West Mainland. Recently updated exhibitions downstairs showcase the extensive fossil and rock collection, with detailed information and illustrations of 380 million year old fish! Ernest Firth was also a great collector of heritage objects. His interest was not in fine antiques or valuable rarities, but in the objects used in everyday life by Orcadians. His extensive hoard includes furniture, household china, cameras and tools, providing an intimate portrait of life in Orkney in the last century. The heritage galleries have been upgraded over the winter of 2015-16, with new information about boat building in Burray and exhibits about life in Orkney during the First and Second World Wars, including a feature about the other 'Italian Chapel' built at POW Camp 34 on Burray. The Centre has a level access through the Community Cafe, and there is an outside toilet accessible via a ramp as well as inside toilets with steps. The downstairs galleries displaying fossils, rocks and the Building the Barriers exhibition are all readily accessible for wheelchairs and buggies. There is one audio visual display and a dark room showing fluorescing rocks using UV light, which is down a couple of steps. The upstairs heritage galleries are accessed via a staircase. For those unable to climb the stairs, we provide viewing via a google tour on our website, and this can be viewed on a hand-held device in the downstairs galleries. There are some outdoor workshops containing tools and household objects, which are accessed via a narrow uneven path and have low door lintels. The Orkney Fossil & Heritage Centre is a charity run by local volunteers. The Gift Shop at the main entrance stocks a large range of books about fossils and geology, gemstones, jewellery and other Orkney crafts, toys, hand-made cards, prints and local music recordings. New for 2016, the Heritage Tearoom is still run by the local community, but has taken on a new look! We have adopted a heritage theme, with decor including some of the Museum's heritage exhibits and old fashioned uniforms to match. The Heritage Tearoom serves good home-made food, a range of hearty soups, local produce and delicious home-bakes in a warm and friendly environment with lovely views. Larger groups are best booking in advance, and we are happy to cater for special diets - we provide a range of gluten-free options on our menu, as well as special Orkney dishes. There is free Wi-fi in the Tearoom.